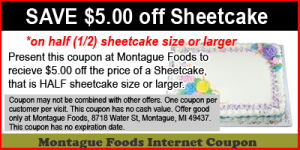 Please review our Internet Coupons for special deals, some of which are available only from our website. 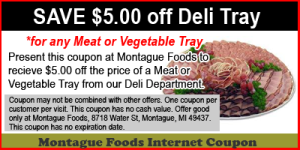 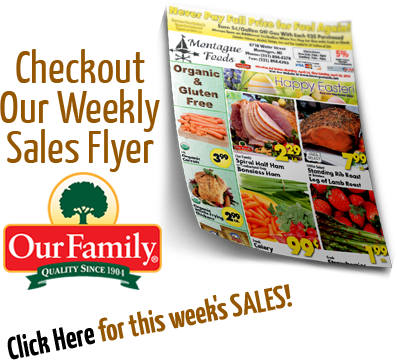 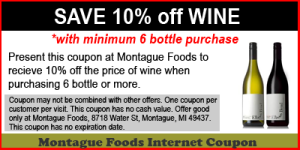 You can print them with your printer, cut the coupons out and use them during your next shopping trip at Montague Foods. 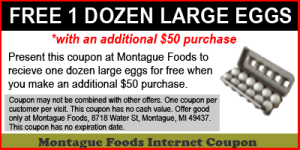 To print the coupons, just click the coupon to open in print view.